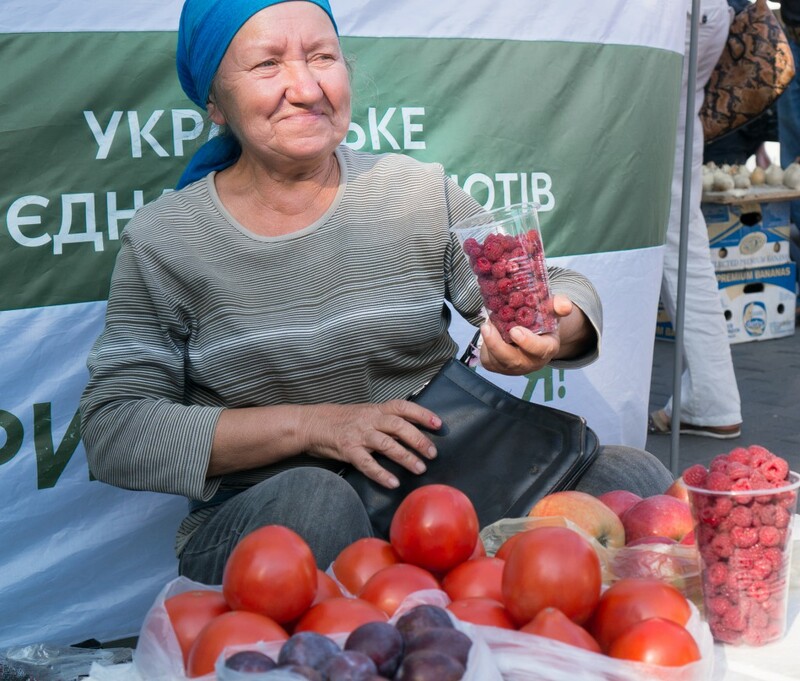 She was just sitting there in the city center in Dnepropetrovsk together with some other women selling her goodies. I stopped to take pictures of raspberries I rarely see in my country. She asked: where are you taking us to? “To Israel” I said, “can I take your picture there?” She agreed. I asked her to smile, but she said: “Take it as it is”. I thanked her and asked for her name. “Lena” – she answered, my namesake… So, here is your picture, Lena … as it is … in Israel and all over the world … I wish you and your country peace, prosperity, independence and happiness! You’re right Vic. Now I regret that I haven’t bought anything from her… Now i will think about it all the time ..
Wow, Ksiusha, it would be great, I have topographic cretinism , but maybe you can find her on Moskovskaya, just near the book market ( a bit behind her). I was with Marina, my friend, so I can check once more and tell you !